Driving directions from Phoenix to Dove Mountain. 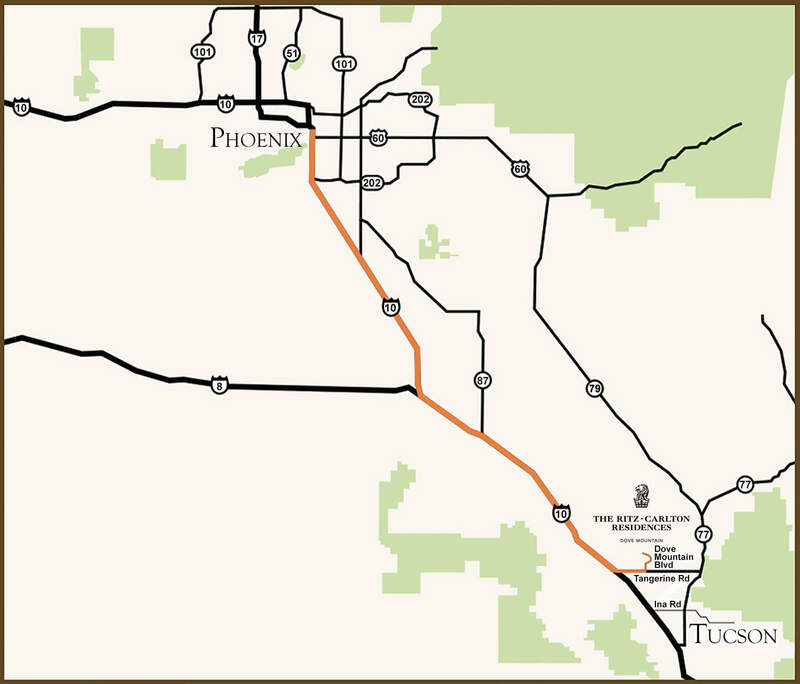 Take I-10 east seventy minutes, exit Tangerine Road east 5 miles to Dove Mountain Boulevard. Take Dove Mountain Boulevard north to the round-about, then take your first right. Continue past the gatehouse, and take your first right toward West Seven Saguaros Circle. Our model home is on your left.